Black Friday and Cyber Monday are fast approaching, and this reality may be causing you to panic as you search in vain for some online deal to display on your affiliate marketing websites. Luckily, there is no shortage of great online deals for affiliate marketers- if you know where to look. The answer to your troubles lies in daily deals sites. Such sites not only offer great deals and deeply discounted items, but they often also work with affiliates. 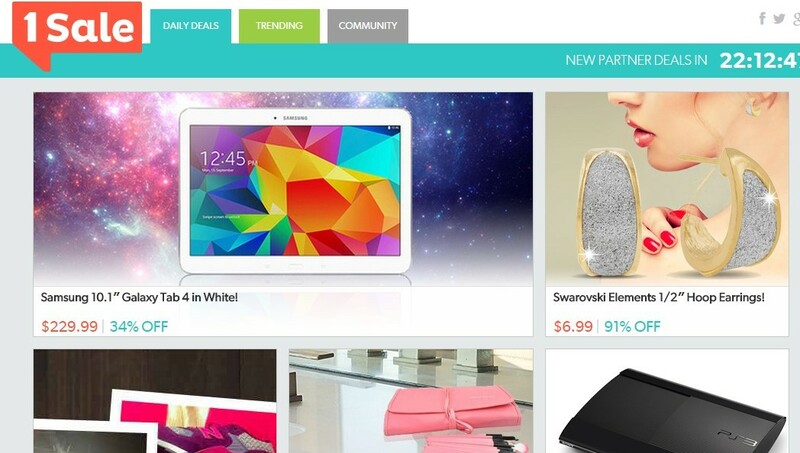 What are daily deals sites? They are sites that scour the Internet on a daily basis for the best online deals and discounted merchandise and then post these deals on a website and/or app. One example is DealTrunk, which offers heavily discounted brand name merchandise on a daily basis. Each day, this site lists one product that is discounted by up to 90% off at midnight. The items can include electronics, perfume, jewelry, etc. There are also deals for hotel stays and vacation packages. Affiliates earn 3%-7% and get a 14-day referral period. 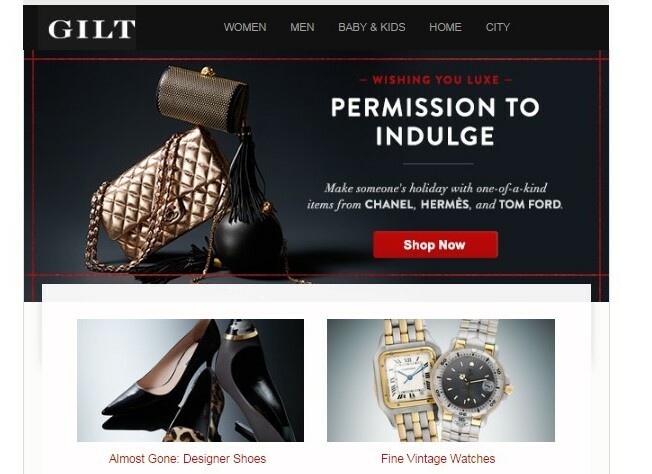 Affiliates of Gilt are paid a 4% commission on every sale. While this may not seem like much, consider that the designer clothing sold through this site can easily cost $1,000 or more. We’re not talking about a $25 pair of shoes here. Through the Groupon Partner Network, you can become an affiliate and make 10% on Groupon and Ideel purchases. Because Groupon offers many different items, you can pick and choose which deals best integrate with your affiliate sites in terms of product theme. 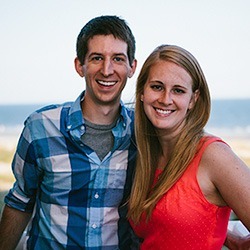 This site offers a hefty 30% affiliate commission on purchases made by new and existing customers, plus $2.50 for every new email subscriber. Affiliates sign up through Commission Junction. 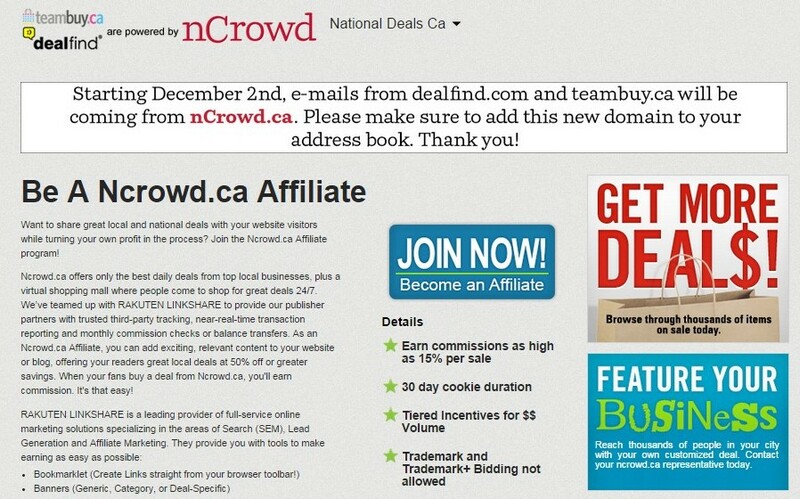 If you’re not familiar with nCrowd, it’s a daily deals site that includes U.S.-based Dealfind and Tippr and the Canadian site TeamBuy.ca. Through this company’s affiliate program, you can earn up to 15% from consumer purchases. There are also tiered incentives for volume purchases. Affiliates obtain a 30-day referral period. This site offers daily deals typically in the form of coupon codes to all kinds of online retailers. 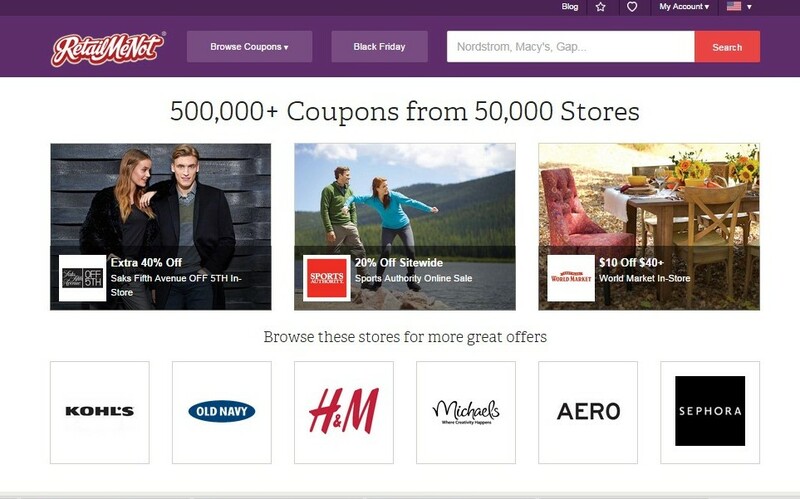 Users of the site can also get rewarded for submitting coupon codes they locate online (and elsewhere). Affiliates receive 50% of net revenue. 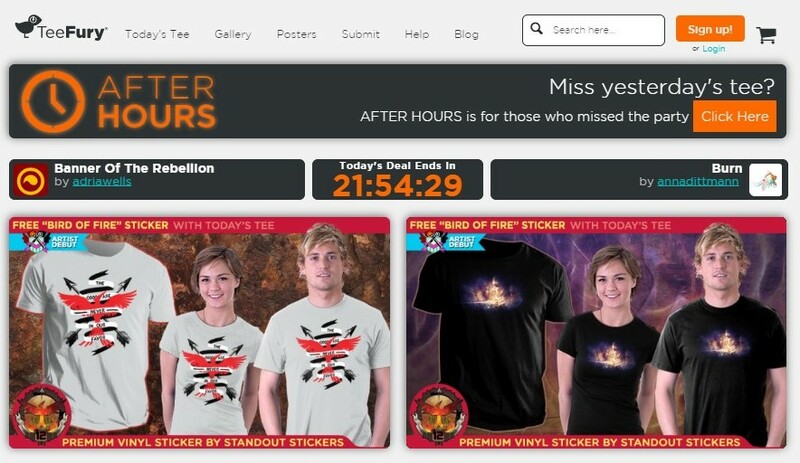 This site posts one new T-shirt every 24 hours for $11. T shirt designs are often one-of-a-kind and may not be resold by the site ever again- although the designer could go to another website and sell the design elsewhere. Affiliates of Teefury sign up through Commission Junction. Although referral information is not listed on the site itself, affiliate forums report that affiliates earn $1 per each T-shirt sold. This daily deals site features all kinds of home furnishing deals that are delivered to subscribers once each day by email newsletter. 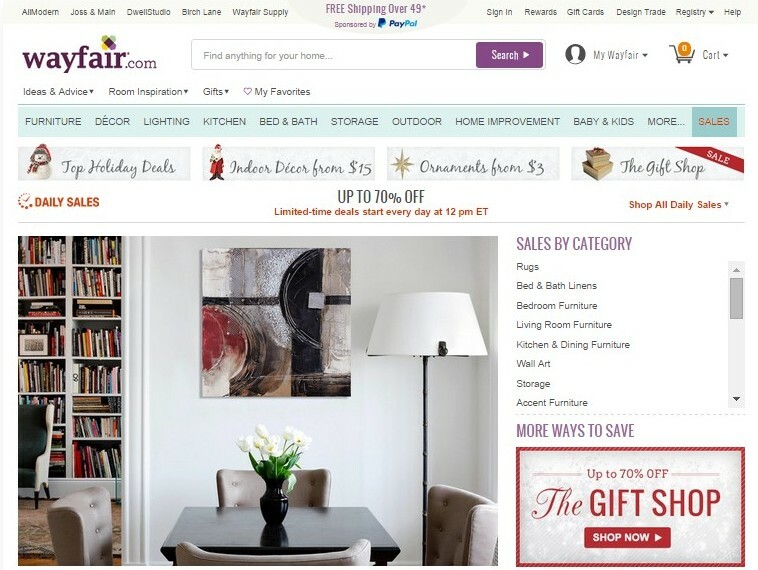 Affiliates with Wayfair can earn 5% commissions and get a generous 45-day referral period. You sign up to the program through ShareASale. 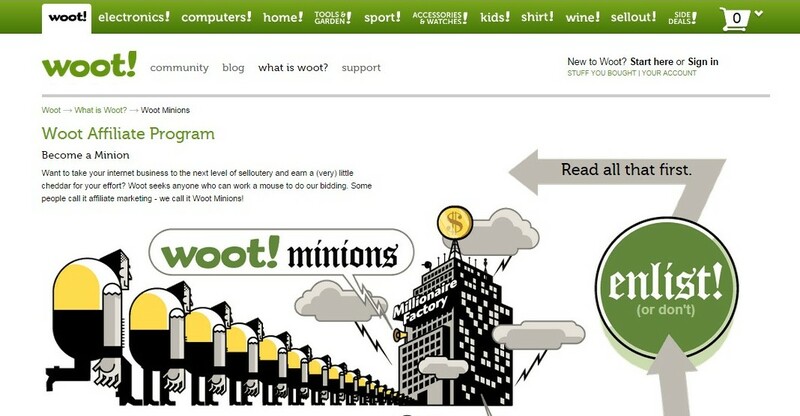 Woot was one of the first daily deals sites to hit the Internet, and even today it is still going strong and has offshoots like Kids.Woot, Wine.Woot, Shirt.Woot and Deals.Woot. Affiliates- or minions, as Woot likes to call them- earn 2% on computers and electronics sales, and 4% on everything else (except wine). This site offers upscale childrens’ clothing and accessories at discounted prices. 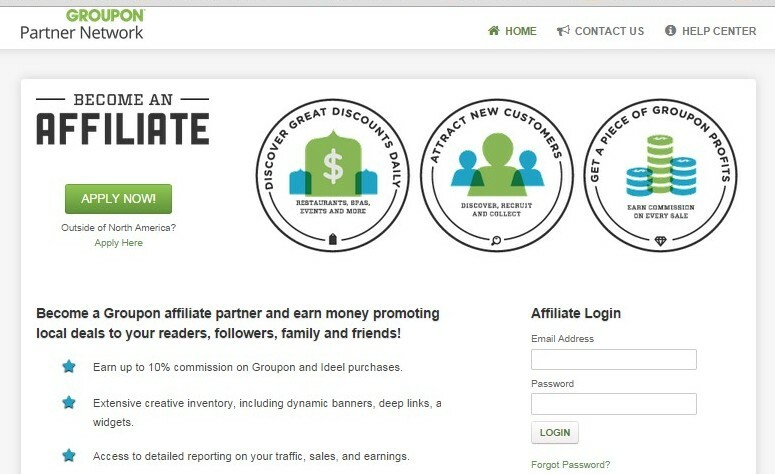 Affiliates earn up to a 10% commission on all sales and receive a 7-day referral period. Sign-up to the program occurs through the ShareASale platform. Are daily deals sites good for affiliate marketers? 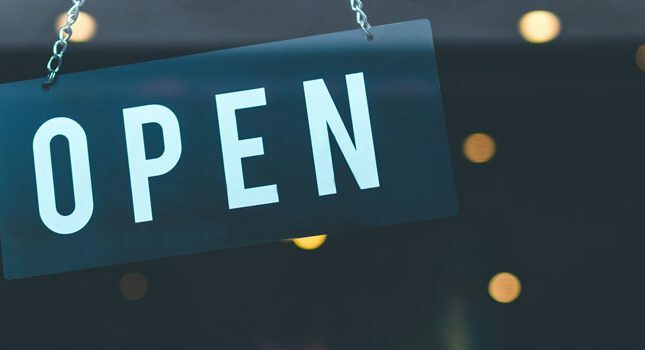 Some of the criticism surrounding daily deals ads and text links being posted on affiliate websites is that they distract visitors and redirect them to third party sites. 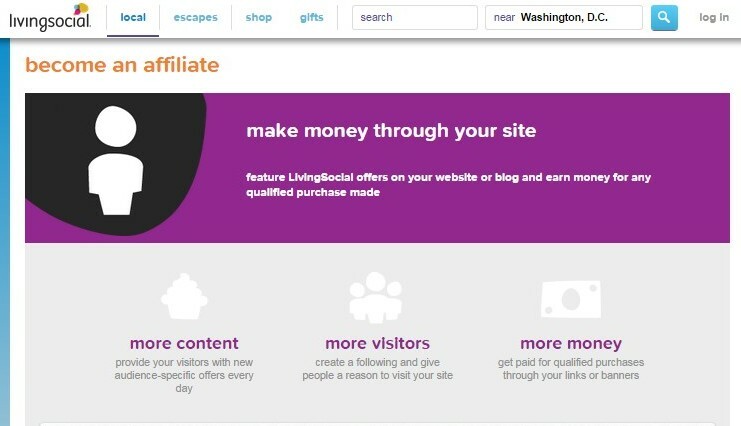 Also, most customers will typically only go through the affiliate link once. After they have signed up with the daily deals site, they will go to that site directly, eschewing the affiliate site and depriving it of any further profits. Another criticism about daily deals ads is that their profit margin is too low for the amount of disruption they cause to an affiliate site. In the case of Groupon, for example, the site’s profits are divided up between Groupon and the actual retailer providing the deal. So, the affiliate doesn’t really receive the full percentage of the deal. However, there are some good reasons to include daily deals ads, at least for a limited time. If you coordinate the theme of the daily deal site to match items you are already selling on your site, the additional traffic to the deal could spill over to your own products. 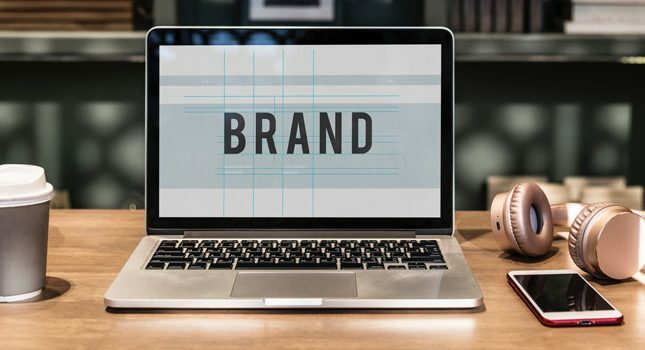 Also, because you must typically add in media and text that describes your daily deal ad, you could end up improving your site’s SEO for a particular product.